Today, there are various subjects I’d like to talk about, so bear with me for the moment (development updates at the end of the post)! 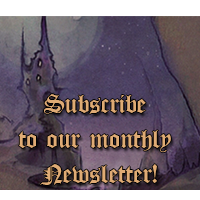 I already lightly touched the subject on my personal blog (French only, sorry :<) but I really wanted to talk about Rondo Duo in more details. It’s clearly not within everybody’s range (my team would never be able to do that, for example XD), but maybe the biggest visual novel developpers can try it out. I would be very curious to see that. What’s your opinion? 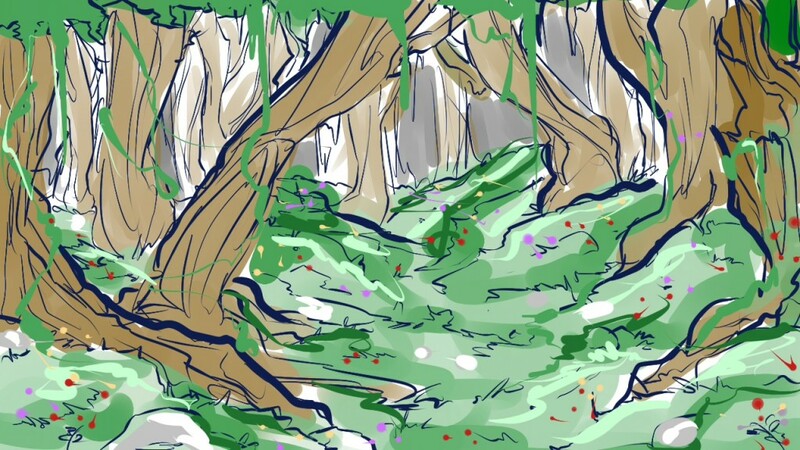 What visual novel do you think could include such cinematics? 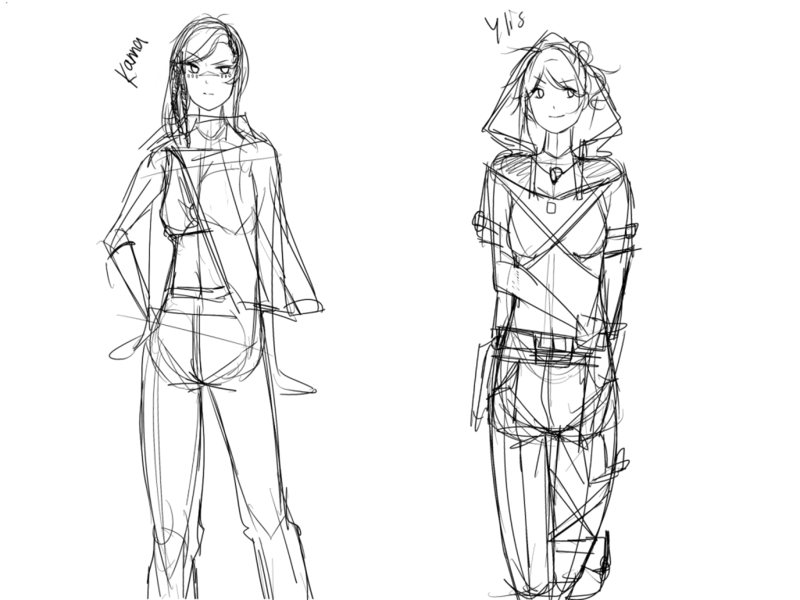 We’ve been progressing surely but quite slowly on the next part due to everybody being busy. The truth is that Episode 4 is way bigger than Episode 3, so it’ll take longer to finish it, especially with the number of CGs (there are a lot of action scenes in this one, I’m sure you’ll love it !). The good thing is that almost all the backgrounds are ready to enter coulouring phase! 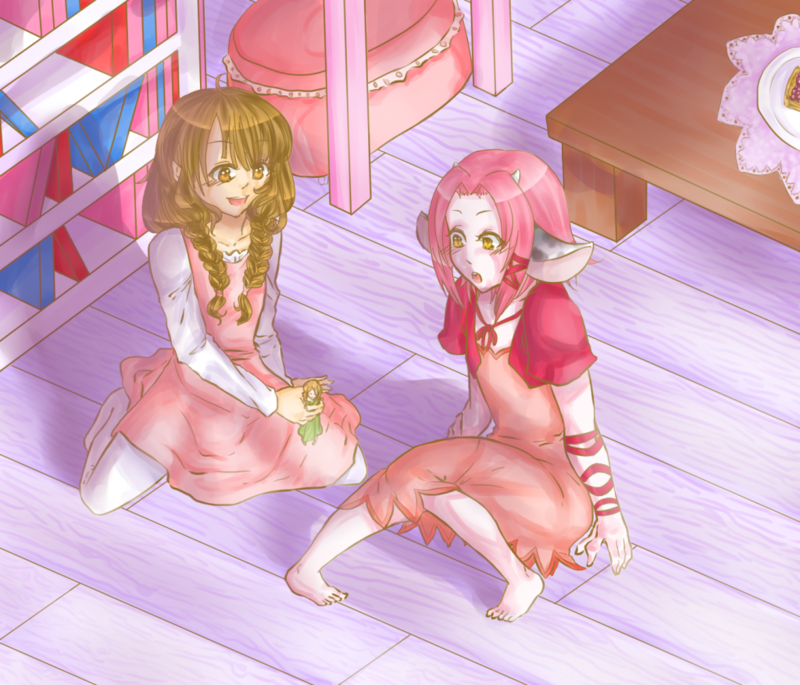 I hope the work on the sprites (mostly colouring) and the chibis will also be over soon, in order to be able to complete the script. I’m hoping to send it to translators in December, so let’s cross fingers! Milk put aside, we did work on other things. 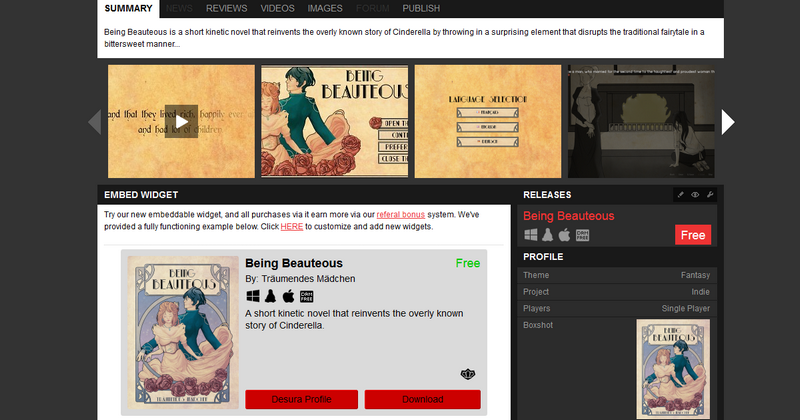 For example, we released Being Beauteous on Desura in mid-november and we plan on doing the same for Ambre when the time’ll be suitable (read: after the crazy month of December where everybody is broke and most AAA games are published). 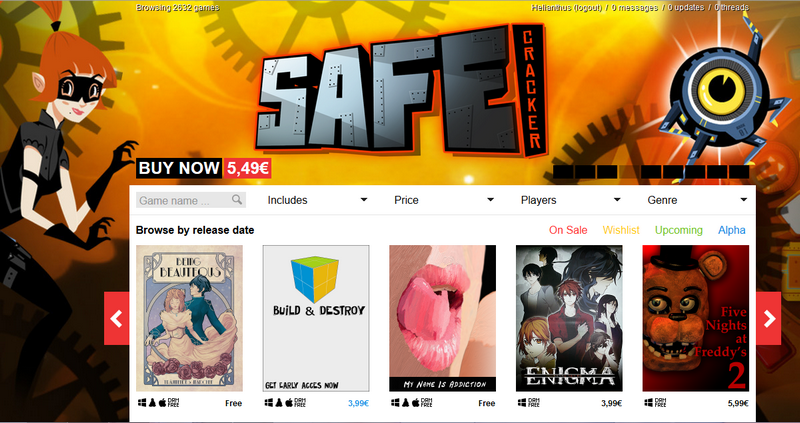 We’re really proud to be able to make our visual novel more visible to a larger audience, I hope it’ll go on ^^. Speaking of Being Beauteous, we also realized we never released its new soundtrack. Since Roganis did such a good job, it would be a shame not to share it, right? 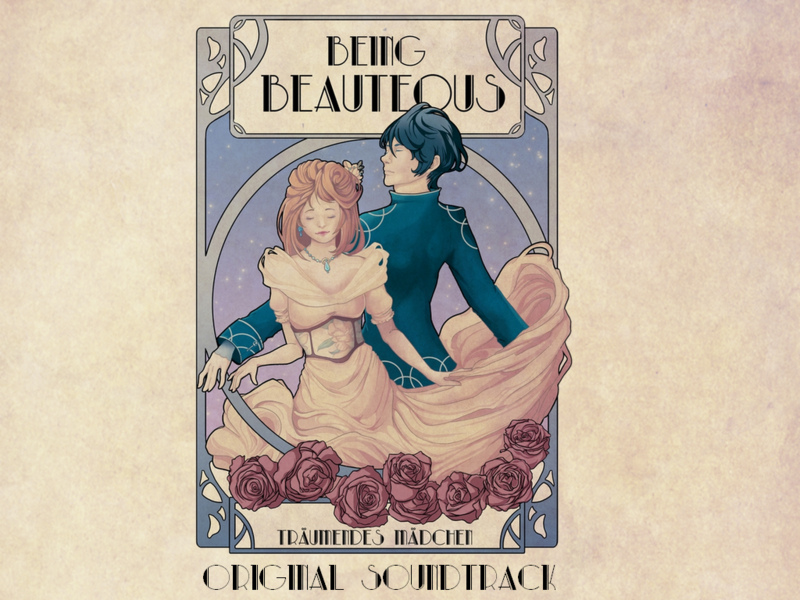 That’s why the Being Beauteous Soundtrack will be available on Bandcamp next Monday (1st December) on a « Pay what you want » basis (the OST is so short we felt it wouldn’t be fair to ask for a definite amount). You can get it for free or give him a little tip to support his work. I’d be you, I’d definitily give him a few bucks, the guy deserve it ;). And after the release of the Being Beauteous Soundtrack, Roganis will also publish his new album on Bandcamp. For those who couldn’t get it at the last Japan Expo convention, it’ll be your chance! So, as usual, follow us on social networks to be the first one informed o/. So, last time we started our giveaway. Now it’s time to see who our lucky winners are! Congratulations to our sharing contest winner, Nickolas Perea,and our fanart contest winner, KinectikLover. We’ll send you an email as soon as possible to handle the shipping (I’ll need your address after all XD). A big thank you to everyone that entered, it really made us happy! Since it was the first time we were organizing a giveaway, we made some mistakes along the way. I don’t know what wasn’t clear in the rules but some people definitively didn’t understand them: when I was moderating the entries, I had to remove some of them because they weren’t true. Either people didn’t realize I could check and took advantage to cheat, either they misunderstood the rules and thought my personnal profile counted (it was written that you needed to follow the team, not me >_<!). I tried not to be too strict but I still had to do the cleaning. As for the deadline, I think a month was definitely too long for a sharing contest. One or two weeks should be more than enough. I don’t know about the fanart contest though. Are three weeks too much? Please, do share your impressions so that we can improve! Should we do more giveaway, for example? Would you be interested? We’re all ears! Except than that, we’re working on Milk Episode 4. If you want to see how we’re doing, you can glance at our Trello page (ideal for some sneak peek but beware of spoilers!) or follow us on social networks: we have interesting things that we’re gonna show!